In a Sunday afternoon phone interview with The Accidentals, not only was I more excited about their music at the end of the interview – I also wanted to be friends. I’m not suggesting you go out and pursue deep friendships with every touring artist you encounter, however this feeling is a testament to something that came up repeatedly during our conversation. The goal of each Accidentals performance is “connection,” they explained. A sort of a give and take phenomenon, They aren’t merely there to entertain the crowd. However, don’t be surprised if spontaneous moments of hilarity pop up during the set. I asked them, as touring artists, to choose 5 songs as the penultimate road trip songs, initially they choose 5 Queen songs (I had the impression it could be any 5 Queen songs – “Every single song is a singalong” guitarist and singer Savannah Buist declares). Drummer Michael Dause quipped that his song of choice would be The Proclaimers “I’m Gonna Be (500 Miles)” which was met with exclamations of protest and laughter from bandmates Buist and vocalist and electric-cello player Katie Larson. In a jokingly resigned tone, Dause said he’d just have to listen to that song on repeat on headphones to keep the peace. They’ve played a wide variety of environments. I discovered them at SXSW 2018, in which they showcased alongside Khalid, Lo Moon and Morgan Saint in a surreal, dreamlike environment pieced together by the creative folks at Sony Music. They mentioned on our call the chance to play the Bluegrass Underground, which takes place in a cavern an hour and a half’s drive outside of Nashville (Flaming Lips played there for New Year’s Eve this last holiday) as the most memorable environment they’ve performed in. So, their down to earth approach certainly has the capability of filling the room in large, unique spaces. They take inspiration from a songwriting mentor, Beth Nielsen Chapman, for lessons on songwriting and performing. First, don’t be afraid to mess up while performing – that’s what makes the performance authentic and memorable. No one remembers a perfect performance. Second, when songwriting it’s important to create a narrative and make sure your message is cohesive. This recalls what came up earlier in the conversation about making sure their songs make you think – they’re not just surface level entertainment, although they want you to have fun, too. 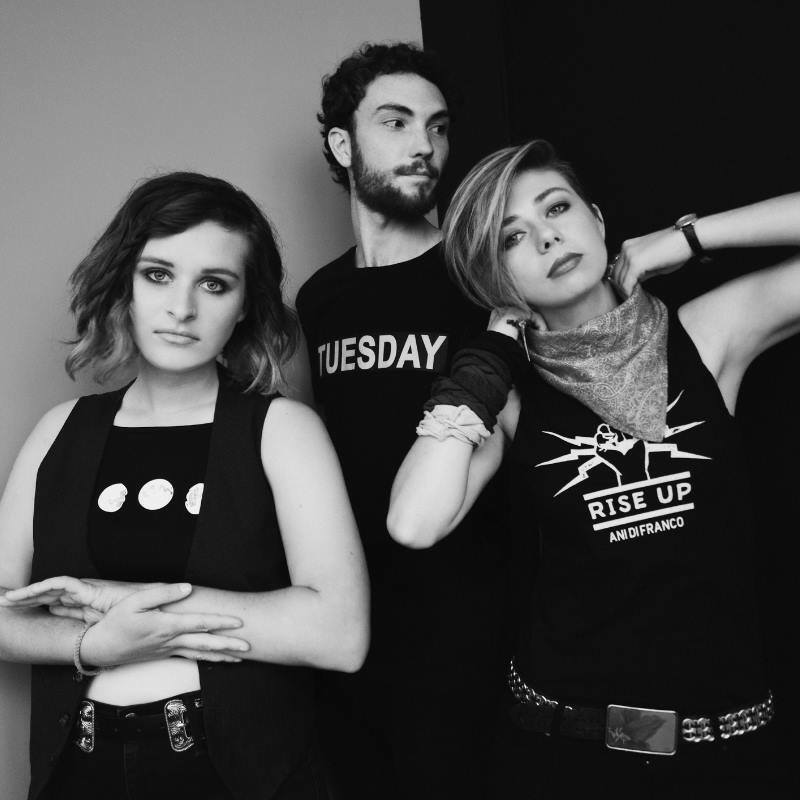 The Accidentals have a big year ahead of them. When I asked them about festivals this summer, they quipped “you’ll have to ask our booking agent.” Being so busy on the road you can’t remember all of your dates is testament to their drive. A live album and a full-length of new songs are forthcoming. If you’re in or around Columbus, OH come see them with us on Thursday, April 4th at Brothers Drake Meadery. Joey Hendrickson and the Sleepless Nights will open with their first performance in over a year. Tickets may be acquired here. Doors are at 8pm. And, next time you put The Accidentals on at home, add some of their Good Good Juice ingredients to your tea that you’re sipping while listening to get the full experience! Follow The Accidentals on Facebook, Twitter, and Instagram.